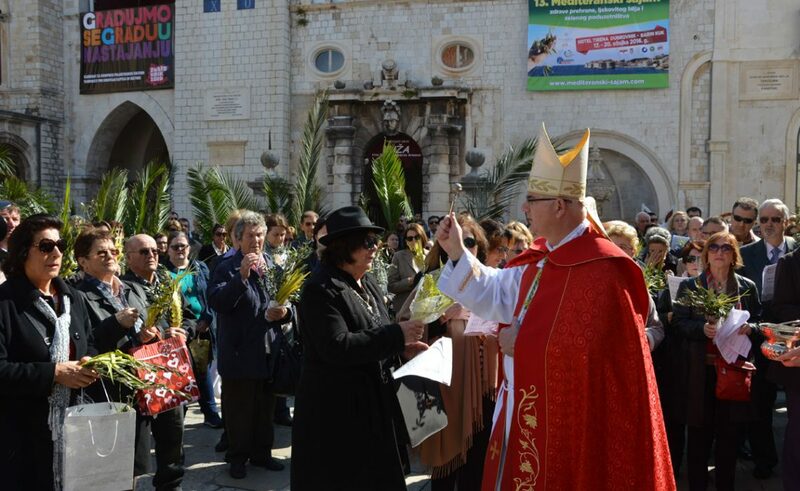 Dubrovnik celebrated Palm Sunday yesterday! The feast when everyone brings their palm branch to the church. Why? The palm tree even at 50 years old flowers profusely and so it became a symbol of immortality, in addition to being a symbol of victory and renewals. After the blessing of the palms, they are usually placed at the front of a crucifix or holy pictures, believing that the blessed branches bring health, happiness and prosperity. The following year, when the church has new palm branches, the old ones are set alight as they are never to be thrown away as rubbish. Photo Gallery: Ston Oyster Day 2016!